The exhibition awaited the visitors in two pavilions for the first time, providing the possibility for companies working in the bakery, confectionery and coffee industry to introduce themselves in a separate pavilion. A thematic competition area was set up in the pavilion, where professional programs were organized during the three days of the exhibition such as the János Pataki Memorial Contest organized by the National Trade Corporation of the Hungarian Confectionery Industry. On the competition the participants were compete each other in cake decorating and artistic work. Also Sirha Budapest hosted the live selection of the Hungarian Cake Competition, where the professional jury evaluated the work of thirty candidates to select the top six to the finals. Also presentations by well-known Hungarian experts were held, Gellért SZÓ and Judit FEHÉR weld a presentation about modern desserts and chocolate decorations, but also the chocolate were the main topic in the art show of the World Chocolate Masters contestant, Dávid Domonkos. János KOVÁCS, caramel specialist awaited the professionals to his caramel art show. On the first day of the exhibition, the professional had the possibility to taste the awarded ice creams of the previous years’ Ice Cream of the Year competition and the special awarded ice creams of the Gelato World Tour. 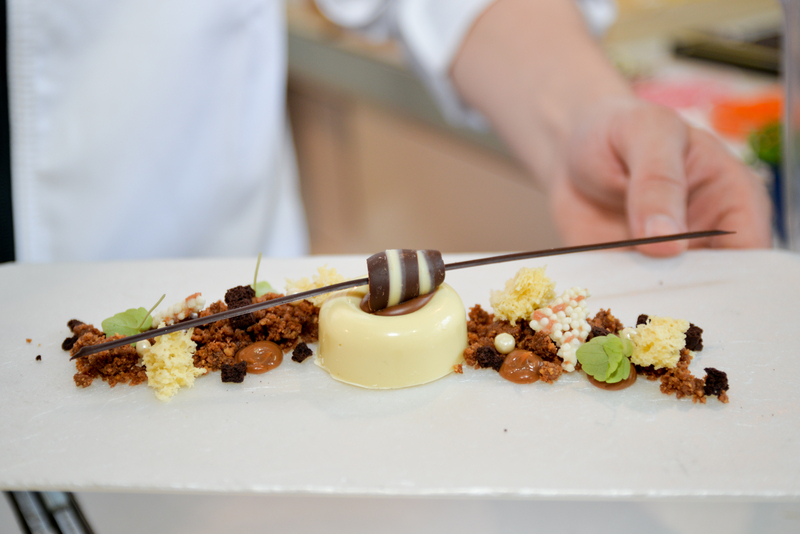 The Sirha Budapest Dessert Competition awaited the visitors for the third time in 2018 in the organization of Zoltán KOLONICS, Hungary’s most acknowledged creative pastry chef. In the competition five teams were compete in fruity desserts, plate desserts and art work categories on the first day of the exhibition. On the second day, the famous French confectioner, Nicolas Coffin was presenting at 10.00 - 12.00.